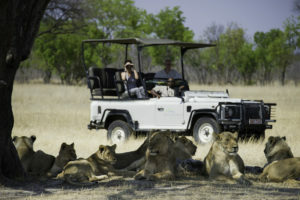 This exciting itinerary presents an opportunity to travel with a purpose and become immersed in the conservation and community initiatives of Wilderness Safaris Zambia. 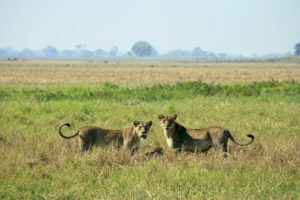 You will travel deep into the wild abundance of northern Kafue and the serene setting of the mighty Zambezi. Here you will experience the realities of African conservation first hand with the Carnivore Program interaction, Rhino tracking, Children in the Wilderness and an Anti-poaching unit interaction. Packages from $6705 per person based on double occupancy. 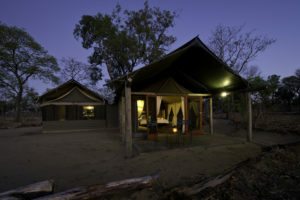 Includes: Light aircraft transfer from Lusaka into Busanga Plains, 4 nights at Shumba Camp, Interaction with the Zambian Carnivore Programme (a unique opportunity to understand the role of conservation initiatives in protecting the lion, leopard and cheetah of the area), Interactive day with Game Rangers International (presentation of their anti-poaching work the evening before), Outstanding game viewing and a hot-air balloon flight over the Plains (weather dependent), Light aircraft transfer from Busanga Plains to Livingstone, 2 nights at Toka Leya on the banks of the Zambezi River, Conservation discussion on the efforts to protect rhino in Zambia, An opportunity to track and view Zambia’s protected rhinos on foot, Visit to nearby Sinde Village and Twabuka School (accompanied by Children in the Wilderness’ Zambezi Programme Coordinator and local CITW Programme Coordinator James Mwanza, to appreciate the impact of conservation education). 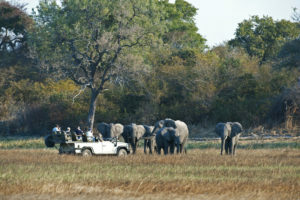 *Optional 3-night Hwange add-on: $2251 per person, based on double occupancy. Includes: Light aircraft transfer from Victoria Falls to Hwange National Park, 3 nights at Davison’s Camp, Elephant tracking in private concession areas of Hwange, Interactive time with Hwange’s Scorpions Anti-poaching Unit as well as a visit to their camp, Visit to nearby Ngamo Village to understand how partnering with communities can contribute to conservation and Light aircraft transfer from Hwange to Victoria Falls.